Welcome! to the Hunter Bird Observers Club based in the Hunter Region of New South Wales, Australia. The Hunter Region is centred on the coastal city of Newcastle (some 160 km north of Sydney). However, the Region spans from Catherine Hill Bay in the south to Diamond Head (Crowdy Bay National Park) in the north, inland to around Cassilis, and also includes the ocean to a distance of 100km offshore. To see a map of the Hunter Region, click here. 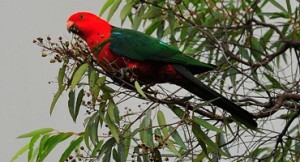 The Hunter Region contains many bird watching sites of world significance, including two registered Ramsar sites (Hunter Estuary Wetlands, near Newcastle, and Myall Lakes further to the north) and six Key Biodiversity Areas (KBAs). Some details about the Region’s KBAs are available under the Field Studies section of this website. More than 450 species have been recorded in the Hunter Region, making it one of Australia’s most prolific birding locations. Formed in 1976, the Hunter Bird Observers Club (HBOC) is the largest club in the Hunter Region that caters specifically for those with an interest in bird life in its natural habitat. We meet the second Wednesday of every month except January, at the Hunter Wetlands Centre (see Contacts section for a map) and visitors are welcomed. Also we have a regular program of field activities for members and visitors. With around 350 members, the club encompasses people of all ages and levels of experience. It is a very active club with a full calendar of events, a bimonthly newsletter, and interests in research (field studies) and conservation. Those who are keen to see new birds are also well catered for, with the Club’s Hunterbirding internet forum regularly supplying breaking news about where uncommon or rare birds have been seen within the Region. Bird watching requires minimal equipment, gets you outdoors, encourages you to see more of the country and provides opportunities for research and socialization. If, after exploring our web site, you think you might like to join the club, why not come along to one of our club nights or field trips where you will be made very welcome. There is no obligation to join, so come along and check us out! First, Rob Palazzi showed all the species he photographed one afternoon at a Pilliga dam. It’s amazing what can be achieved with a hefty dollop of patience! Our guest speaker was Birgita Hansen who coordinates a national study of the migratory Latham’s Snipe. In one part of that study, volunteers go regularly to wetlands in south-east Australia and count the numbers of snipe. Birgita outlined to us the findings to date from those surveys. Another part of the study involves fitting transmitters to follow movements between roosting and foraging sites and the birds’ migration to their breeding grounds. Much new information is emerging, including that some birds stage in Queensland and that some birds appear to migrate beyond Japan, to islands off Russia, in order to breed. HBOC supports the National Atlas (Birdata) and submits records from all of its activities. We strongly encourage our members and visitors to do the same. We use Birdata to track out how our local birds are faring. Data entry is so easy with the new portal http://birdata.birdlife.org.au. We had a record number of surveys submitted in 2018 – smashing through the 4500 barrier for the first time. Will you help us make 2019 an equally memorable year? This Nature Reserve contains one of the largest remaining coastal heath communities in the region. It is a good location for observing heathland birds such as Tawny-crowned Honeyeater, New Holland Honeyeater and Bar-shouldered Dove. Brush Bronzewings have also been recorded there. The reserve can be accessed from Redhead in the south (off Alison Street), or from Ocean Street Dudley in the north. The main track runs north-south through the reserve. From the Dudley entrance there are also tracks leading to Redhead Lagoon (to the west) and to Awabakal Viewpoint (to the east). Awabakal Viewpoint offers extensive coastal views, including the possibility of seeing whales. Look out for White-bellied Sea Eagles cruising up and down the coast, and Australasian Gannets particularly in winter. Peregrine Falcons and Nankeen Kestrels often hunt along the cliff edge.